The Bronx Documentary Center, in collaboration with the United Nations Department of Peacekeeping Operations, Magnum Photos, Getty Images, United Nations Foundation, and RISC Training, has organised an exhibit showcasing the work of Tim Hetherington and Chris Hondros. Their powerful photographs played an important role in moving the world to action and ultimately bringing the Liberian conflict to an end. 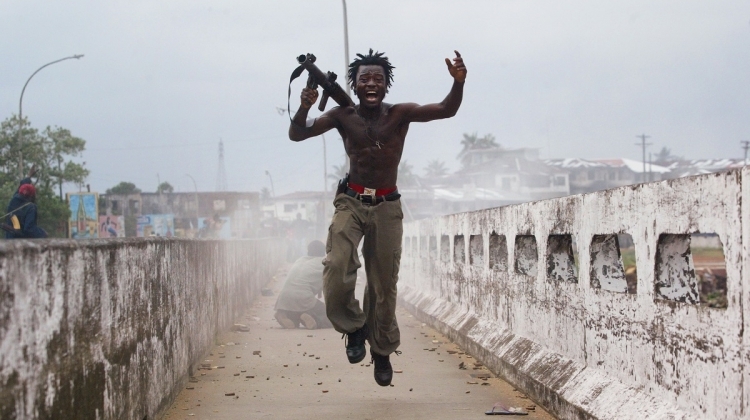 “This exhibition is Tim Hetherington’s and Chris Hondros’ legacy. Their photos bear witness to the worst failures of humanity. They also call on us to look, even when it would be easier to look away,” said UN Deputy Secretary-General, Amina J. Mohammed. Together, these two photographers helped to alert the world to Liberia’s tragedy during its civil wars and to build international momentum that resulted in the deployment of a United Nations peacekeeping mission that helped to bring the conflict to a close. The deployment facilitated the process for democratic elections and created a lasting success story for the West African nation and the entire sub-region. The work of Hetherington and Hondros and others showed the world a human face to what would have been too easy to dismiss as yet another insoluble, far off war. They did this at great personal risk, and sometimes, at great personal cost. Photography helped pivot the story from a far-off tale of inhuman savagery to one of humanity, our humanity, in peril. Peacekeepers helped to stabilize, restore and protect, but they would not have deployed without the international community’s political commitment, and that was informed and shaped by the compelling photographs and video taken on the ground. “The United Nations today and all days stands with journalists all over the world as they do their important work but also raise our voice. 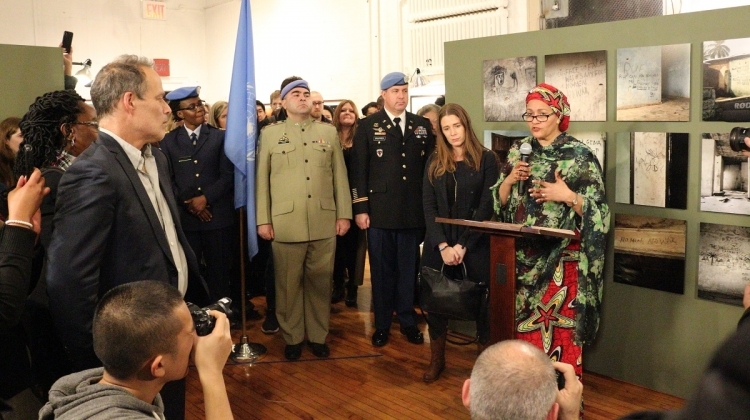 That they are protected from the fear of the conflict as they try to shine the light, not just to expose the atrocities but to somehow touch the hearts of leaders – so that we can end the conflict,” said Amina Mohammed. The exhibition is on view from 26 October until 16 December 2018 at the Bronx Documentary Center St Mary's: 364 E. 151st Street, Bronx, New York City.